A great day was had by Where’s Wildlife in Ayrshire at the Biological Recording in Scotland (BRISC) annual conference, this year held in Ayrshire at the field station on Cumbrae. This year the focus was on marine biological recording, and after a series of fascinating talks, we headed out to the shore to have a local at some local wildlife. 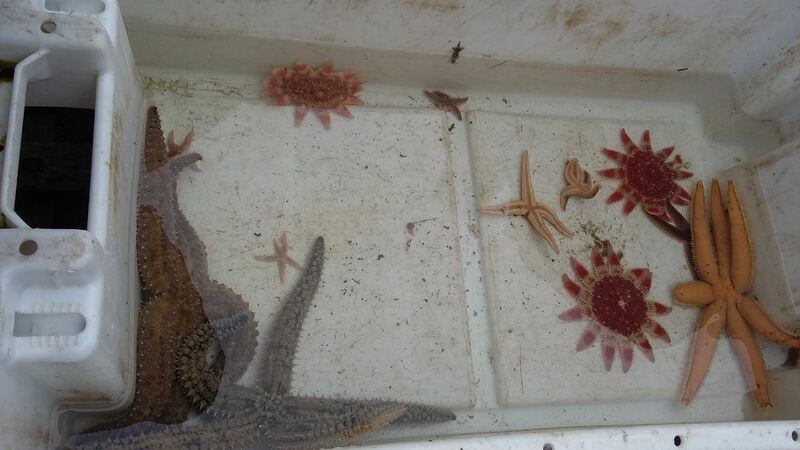 We were lucky enough to meet some staff who has just collected some samples from the waters around the island. 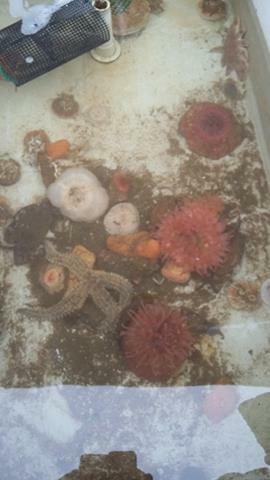 This really brought to life the diversity of our local waters. All animals are used for teaching purposes and are released back into the sea after a week. Representatives from the Marine Conservation Society (capturing our coast) taught us all about the Big Seaweed Search project and how to carry out transects on the rocky shore. 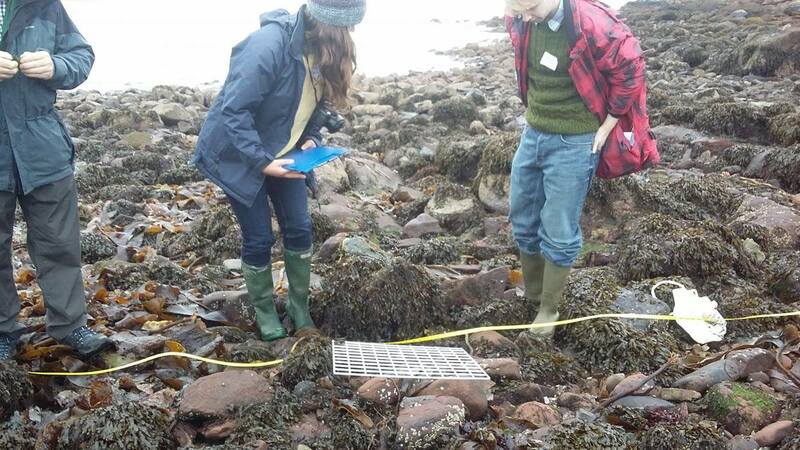 The capturing our coast project has a range of citizen science surveys you can get involved with, and given the beautiful coast we have in Ayrshire, why not visit their website and see how you can get involved. A fantastic day at a must visit spot in Ayrshire. In 2018 it is hoped that one of the Where’s Wildlife in Ayrshire species ID workshops will be focused on marine species, so watch this space!